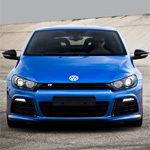 Scirocco Central • View topic - Revo? Forge? VWR? What has everyone got? I was thinking either forge or revo, but again I can't seem to find many reviews? Or perhaps someone could link me to a thread? After reading various threads and from what R-tech say the REVO intake is the best one to go for in terms of gains. Revo is one of the better ones. My 2010 R came with a Revo intake, it made 276BHP with no other mods. I like it, you can hear the turbo more and when you let off the throttle you get a shoooopp sound, its not overly loud like a after market blow-off valve. Is there a big difference in how loud the Revo is compared to the VWR/Racingline intake? Yes I have checked youtube videos, but it would be good to hear comments from those with experience of both, considering that where I live I don't really have a chance to see many cars with these installed to listen and compare myself.